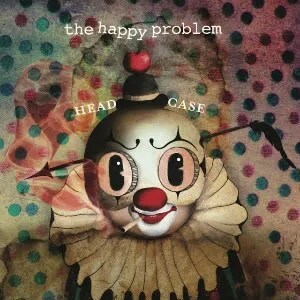 New album from the happy problem – Head Case – out today on iTunes and CD Baby | The Punky Chef Attacks! Yes, my punky lovelies, I am totally whoring out this food blog right now to tell you that the brand new album from my band, the happy problem, comes out TODAY. You should get a copy. No, you really should. Yes, it IS the rapture. The new album from the happy problem comes out today, May 23rd, on iTunes and CD Baby. Digital and physical CD. Order, download, repeat. You’re welcome. Yes, people, get a little clown in your life.